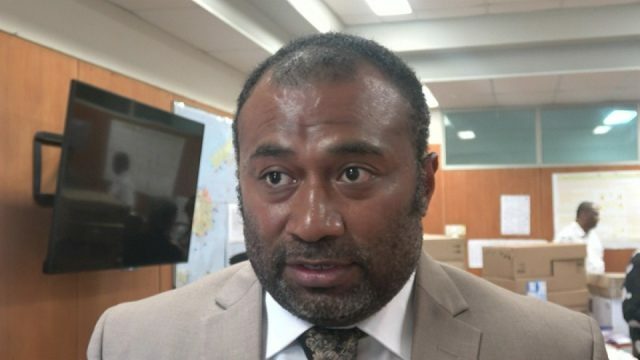 A tropical cyclone alert is now in force for Rotuma, Yasawa group, Vanua Levu, Taveuni and nearby smaller islands, northern Viti Levu, northern Lau and Lomaiviti group. 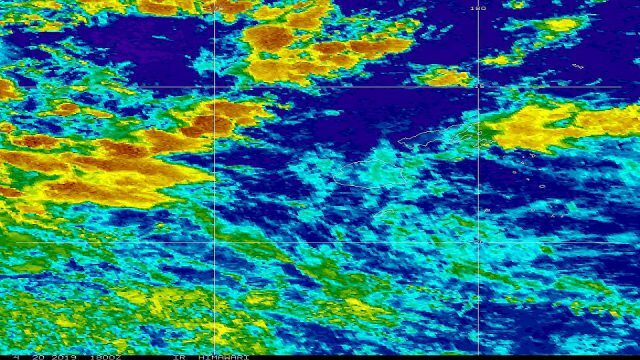 The Fiji Meteorological Services says Tropical Disturbance 03F centre was located about 1010km west of Rotuma and about 1160km northwest of Nadi at 10am today. TD03F is moving east-southeast at about 20km/hr. Close to the centre the 10 minute average winds is estimated to be about 45km/hr. TD03F is expected to intensify into a depression within the next 6 to 12 hours with average winds of 55km/hr. It may further intensify into a tropical cyclone in the next 18 to 24 hours. 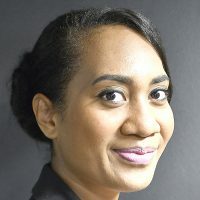 The disturbance is currently moving east at about 20km/hr and its centre is expected to be located about 590km west of Rotuma or about 920km northwest of Nadi at 10pm tonight and about 290km west of Rotuma or about 630 km north-northwest of Nadi at 10am tomorrow. momentary gusts to 90km/hr from around midday tomorrow. 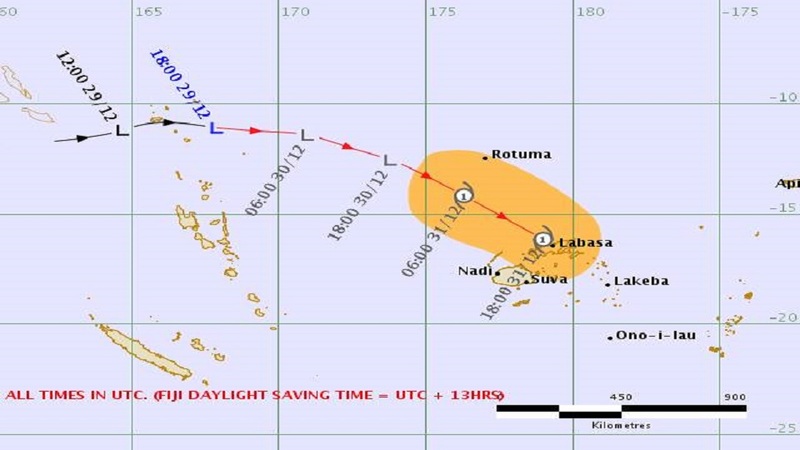 Expect periods of rain, heavy at times and few thunderstorms over Rotuma. Rain becoming frequent from later today with squally thunderstorms. Damaging heavy swells and sea flooding of low lying coastal areas is also anticipated. strong with average speed of 50km/hr and momentary gusts to 80km/hr from tomorrow afternoon. Winds may further increase to damaging gale force with average speed up to 65km/hr and momentary gusts to 90km/hr from tomorrow evening. Expect periods of rain, heavy at times and few thunderstorms. Rain becoming frequent from later tomorrow. 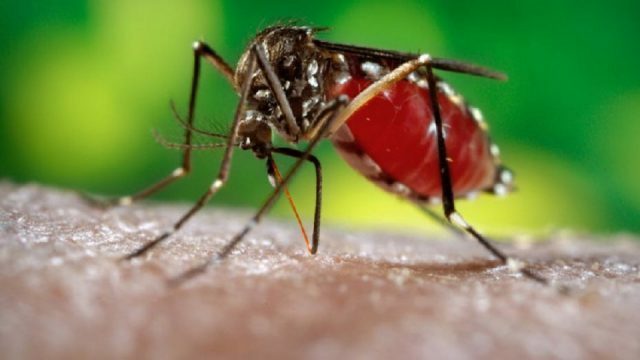 For Mamanuca Group, Eastern Viti Levu and Kadavu and nearby smaller islands: Expect moderate to fresh southeast winds. Winds becoming strong with average speed of 50km/hr and momentary gusts to 80km/hr from tomorrow evening. Expect periods of rain, heavy at times and few thunderstorms. Rain becoming frequent from later tomorrow. A heavy rain warning remains in force Vanua Levu, Taveuni and nearby smaller islands, Yasawa and Mamanuca group, kadavu and nearby smaller islands, Lau and Lomaiviti group and eastern half of Viti Levu. A heavy rain alert is now in force for the rest of Fiji. 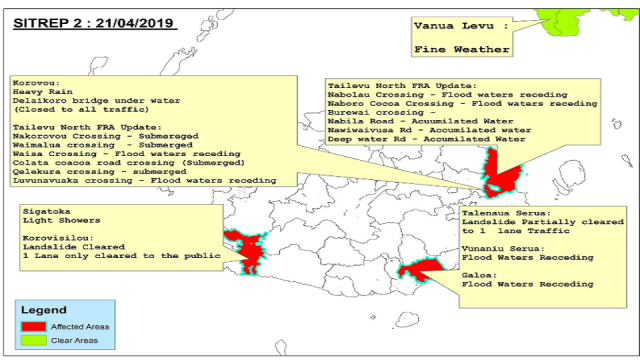 A flood alert remains in force for low lying areas and areas adjacent to major rivers of Vanua Levu. Mariners can expect southeast winds 20 to 25 knots and rough seas. Winds increasing to 25 to 30 knots and rough to rough seas from tomorrow.